Ohakim said that apart from some of the road projects in the area, he reactivated the Iyieshi Water Scheme in the area. The Imo State governorship candidate of the Accord Party, Ikedi Ohakim, yesterday said he did not steal money while in office as governor of the state, between 2007 and 2011. He said: “Despite the gang-up and distractions against my government, I served the people of the state well and addressed their needs while I was in office. 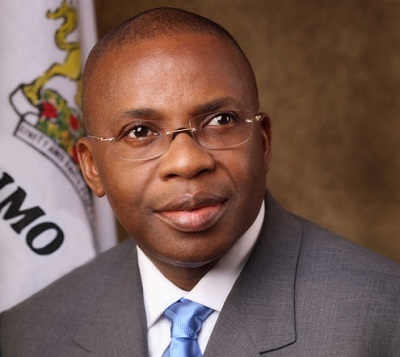 Ohakim said that apart from some of the road projects in the area, he reactivated the Iyieshi Water Scheme in the area which he said was built by the colonial masters in 1945 but abandoned by previous governments in the state. It was Ohakim’s view that, “Both Owerri and Orlu Zone have agreed to vote for me. Okigwe is the only province in the country that has not gotten a full city status. “I will tap all the development potentials in Okigwe zone and I will ensure that the economy of the people is enhanced.